Extended Q&A for Hidden Causes of Poor Service Webinar — Toister Performance Solutions, Inc. I recently got a chance to be a Zenmaster for a day when the folks at Zendesk asked me to facilitate a webinar called Three Hidden Reasons Why Good People Provide Bad Service. It was a lively session with lots of great questions. In fact, we ran out of time before I could answer them all, so I'm responding here to ten additional questions from participants. The interactive webinar is embedded in this post (click here if you don't see it) and the additional questions are answered below it. Question: I have heard that speed is the # 1 factor in great service. Are you recommending we slow down? Yes. It doesn’t matter how fast you respond if you don’t resolve the problem. Customers won’t mind a slight delay if you take the time to get it right. The counter-intuitive paradox is you will actually go faster by working slower. For example, look at the service failure I shared on the webinar where it took three emails to answer one question. Let’s say that each email took 30 seconds to write. That means they actually spent 90 seconds solving my problem. What if they took an extra 15 seconds to fully respond to my first email? That would mean they spent 45 seconds on the problem, or half the time. Question: I am in a unique position, I am the sole person answering emails and calls for my company. All customer service issues are on me. How would someone like me not multitask if I am the only person doing this? This can be tough when you are a one-person show, but there are a few ways you can reduce multitasking. Try to focus on non-phone tasks like email when phone volumes are lower. Only open email when you’ve set aside time to focus on it. This will prevent the email notifications from constantly distracting you. When the phone does ring while writing an email, resist the temptation to quickly finish the email. Set it aside and give it your full attention again once you’re off the phone. Question: Where may we gather information to test Customer Effort Score? 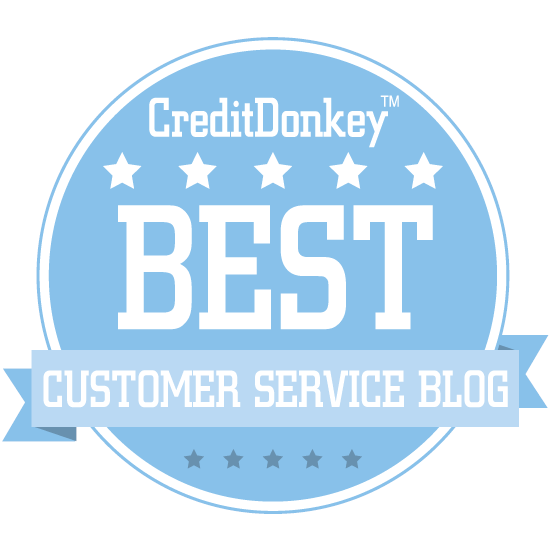 Check out this Customer Effort Score primer to get started. One word of caution – no single metric will answer all your questions. It’s good to start by asking, “How can we improve?” and then finding the most appropriate set of indicators for your business. Question: Great presentation, thank you. My question is about incentivizing our customer service agents. It's very easy to track calls answered or emails answered but much more difficult to get numbers for satisfaction. In my experience, customers don't always want to leave positive feedback, they are more likely to leave negative feedback. Incentivizing survey scores can be a risky proposition that may actually lead to negative performance. You’ll get much better results if you set a team goal (without incentives) and use the survey as a continuous improvement tool. In this way, negative feedback can help you spot problems and improve. Question: What tools do you use to measure net promoter score? It comes from a single survey question that asks how likely the customer is to recommend your company, product, or service (on a scale of 1 – 10). You can learn more from this overview. Question: We have that issue (some people spending too much time on phones). What are some tips for keeping phone conversations under control? In general, I’ve had success training my team to focus on clarifying the customer’s needs by asking good questions and actively listening. At the same time, I’ve encouraged everyone to try to fully serve the customer’s needs on the first call since a little extra talk time is much less expensive than a second call and a more irritated customer. Question: Our company has some focus on metrics for customer service. Can a company be too focused on these metrics? Yes! Getting too focused on metrics can take the focus away from the ultimate goal of providing outstanding customer service. The metrics should tell you if you’re on the right track, not whether or not you’ve arrived. Do surveys devalue real feedback? Question: Do you have recommendations for metrics on resolving customer questions as a measurement? I can choose to send out a "survey" feedback request for every email, but that gets irritating for customers to fill out every time they contact us about every little thing. Currently, we do a LOT of individual email reviewing which is great, but do you have any other suggestions to get at this metric in particular? Getting feedback directly from the customer is a good way to determine whether an issue is resolved, but you are right to want to avoid irritating customers with feedback requests. Some of my clients have had good success putting the survey request in the email itself. That way, customers can choose to click on a link to the survey if they want to provide feedback. Your response rate will probably go down, but the survey will also be less annoying. If your response rate goes down too far, you can try sending a survey request to a sample of customers, but not to everyone. Question: How important do you think it is to keep consistency in call center hours - is it harmful for someone to take initiative and take a call after hours? Is your specific concern that you might train customers to call after hours if you take the occasional call? I don’t think it’s too big a deal if you have the resources available. However, you may want to review your call volume by time of day. This way, you can adjust your call center hours as needed to best match your volume. 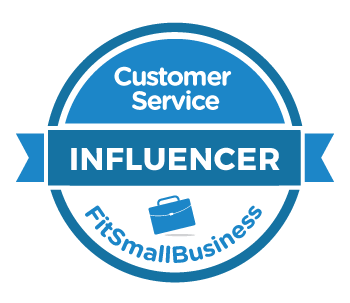 Question: Our sla is 1 business day, but we sometimes get customers that expect a 2-4 hours reply and it is impossible with the resources we have. Any advice to deal with this situation? There are a couple of tactics you can use to manage customer expectations. First, post your standard response time wherever you display your email on your website. Second, create an auto response email that acknowledges each email received and tells the customer you will respond within one business day. Most customers are okay if you clarify up front how long it will take to respond, but can get anxious if you don’t do this. Question: If a client is in the wrong and we notice, do you have advice on how to resolve the problem gently without pointing fingers? Focus on finding a solution rather than placing blame. Make an exception to a policy when possible. Learn from the situation. Is there a way to help other customers avoid similar misunderstandings?